Windows 10 build 16362 is now available for download. The new build comes with improved boot experience and Narrator Improvements. In addition, Windows Insider team has addressed an issue where minimized app windows on mixed-DPI monitor setups might end up drawing off screen after your PC resumed from sleep. Read a full list of fixes and improvements below. Use sign-in info to apply settings after a restart or update: Building on our work seen in Build 16251, if you stay on the lock screen for a few seconds before signing in, you will now see your lock screen personalization (such as Windows Spotlight, and/or status information from Cortana, Calendar, Mail, and more). As always, you can customize your lock screen experience using the settings listed under Settings > Personalization > Lock screen. Note: The feature is only available on PCs that are not managed by enterprises. This includes home PCs that are sync’d to enterprise (work, school, etc.) email. Addressed an issue where minimized app windows on mixed-DPI monitor setups might end up drawing offscreen after your PC resumed from sleep. Addressed an issue where if you changed your display language preference to something other than the machine’s default then any app which did not take an update while also getting the updated language resource package from the Store would end up continuing to display its tile in Start in that default language rather than the new language displayed within the app and other system UI. Windows 10 build 16362 updated the Action Center to now use “AM” / “PM” when indicating timestamp with the 12hr clock format, rather than “a” / “p”. Addressed an issue where using the letters in Start to jump to different locations in the alphabet wasn’t consistently working in the last few flights. Addressed an issue where when the People button was present in taskbar, and toast-only banners (for example from Outlook 2016) were sent, the Action Center badge counter would become inaccurate. Windows 10 build 16362 fixed an issue where when the People button was present in taskbar, and toast-only banners (for example from Outlook 2016) were sent, the Action Center badge counter would become inaccurate. Addressed an issue resulting in multiple apps crashing in the previous flight if you tried to log into the app using Facebook. Addressed an issue where pasting an image to Imgur.com from your clipboard wouldn’t work. Windows 10 build 16362 addressed an issue which could result in uploads failing on some sites, such as Behance.net. Addressed an issue resulting in drag and drop onto websites intermittently not working. Addressed an issue where Microsoft Edge would crash after choosing to pin certain websites to Start. Addressed an issue where a tab could get in a state where it displayed a tab preview thumbnail even though your mouse wasn’t hovering over the tab. Addressed an issue where website tooltips could end up displaying behind the Microsoft Edge window after opening a link in new tab in the background. Windows 10 build 16362 addressed an issue for certain websites where after watching an embedded video full screen then using Esc to return to the page would result in the video controller no longer being visible. Addressed an issue resulting in Ghost Recon: Wildlands not starting in recent flights since the Easy anti-cheat component wouldn’t load. Addressed an issue resulting in Train Simulator 2017 failing to launch on recent flights. Windows 10 build 16362 addressed an issue where the Pinyin IME’s emoji picker wouldn’t load in recent flights. Addressed an issue where the Emoji Panel’s tooltips could become mixed up. Addressed an issue from recent flights resulting in precision touchpads potentially dropping gestures after coming out of sleep. Addressed an issue where when using the Chinese (Simplified) handwriting panel InputPersonalization.exe could get into a state where it would unexpectedly have a continually high CPU usage. Windows 10 build 16362 updated the Run dialog so when hold Ctrl + Shift then click OK or press enter, it will run that task or program elevated, just like how it works in Cortana. Addressed an issue where the Windows Defender Security Center app icon was missing in taskbar when the app was open, as well in Start’s all apps list. You will also notice that the icon is now un-plated in the taskbar. Windows 10 build 16362 addressed the issue where USBhub.sys was causing spontaneous reboots due to bugchecks (GSOD). Addressed an issue where the battery flyout might incorrectly show “PC not charging” while the device was changing in recent builds. Addressed an issue where fonts using shortcuts would become unusable and disappear from the Fonts folder. Windows 10 build 16362 addressed an issue where upgrading to recent flights would fail if you had a speech for a secondary language installed. Addressed an issue from recent flights resulting in some Insiders experiencing an issue where Store apps would begin to fail to activate after being launched a few times. Addressed an issue where your PC might not go to sleep automatically after remoting into it and signing out of the remote session. 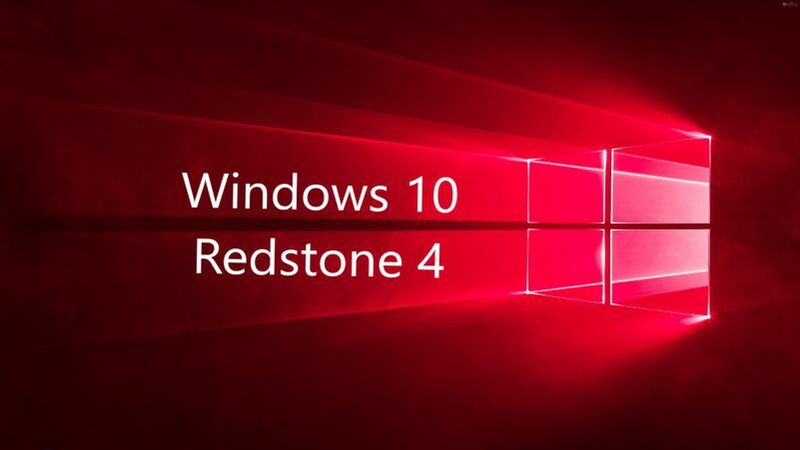 Windows 10 build 16362 ISO files will be available later on our website. Check back later for build 16362 ISO download links. Update:- Windows 10 build 16362 ISO files are now available here.